This is a nice break from the typical car review video and just in time for Halloween. In the latest video from Carwow, Mat Watson spends the night in his long-term Audi RS4 Avant in the middle of the woods. He does so “alone” and with only a few cameras to record everything. It’s like one of those found-footage movies, such as the Blair Witch Project and Cloverfield and it’s surprisingly fun and entertaining. In the car, Watson has three GoPros mounted in different areas and a handheld video camera to record with. Aside from that, there are no cameras in the car. He also has a sleeping bag, a camping mat to make the trunk more comfortable to lay in and a bunch of snacks. 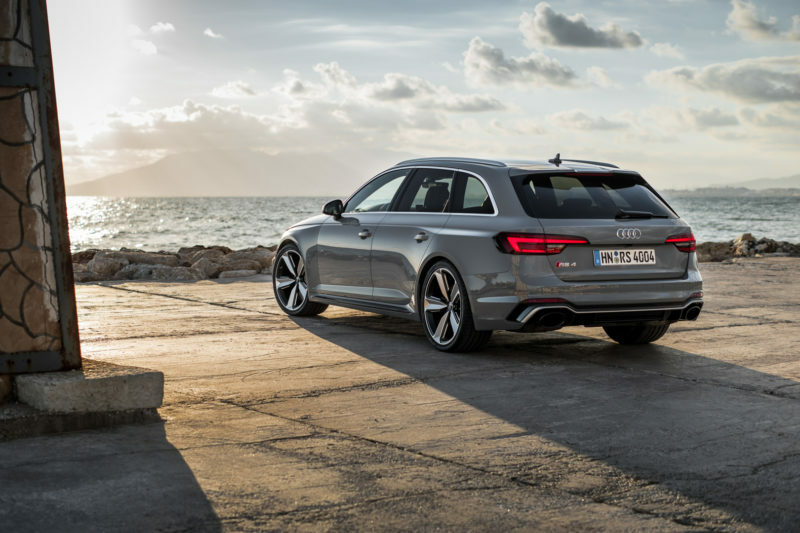 With the rear seats folded down, he has plenty of room to lay out and move around, so it actually makes a decent camping car, the Audi RS4. What’s funny is how Watson incorporates information about the car, sprinkling little bits throughout the video, while still making it seem like one of those found-footage movies. For instance, he complains about the lack of storage space for the parcel shelf, so he has to get out of the car, in the dark by himself, and place it under the car. He also talks about the storage space in the central arm rest, which was able to house his tooth brush. Then it starts to get spoooooky. As he gets bored, he browses the internet, via the car’s WiFi hotspot (another car factoid thrown in) and notices that a man went missing in the very woods he’s in, years back. When he gets out to brush his teeth, he hears a noise, which he thinks is a badger. So why not investigate it like everyone does in movies? So he does and while he’s gone, a scary face appears in the car’s window. When he gets back to the car, he notices the windows are rolled down but they weren’t when he left it. Gasp. He then says how maybe he accidentally rolled them down with the keyfob, which is another feature of the car he mentions. After that, it continues to get spookier and it’s really surprisingly funny. It’s really corny and silly but it’s a fun break from watching normal car review videos and listening to a bunch of facts and figures. Plus, it’s in the Halloween spirit and that makes it even more fun. Kudos, Carwow and Mat Watson, this was funny and entertaining. Plus, the Audi RS4 seems like a fun car to camp in.